Golra Sharif Electric Store deals in all kind of electrical spares of daily use. Electrician Services in Kharian are also available. Golra Sharif Electric Store is located in New Bazar Kharian. It deals in all kind of electrical spares of daily use. 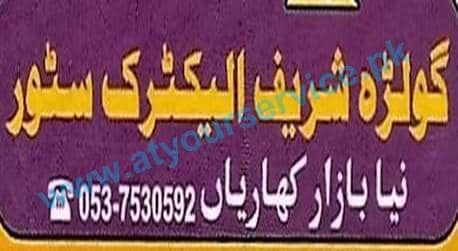 Electrician Services in Kharian are also available.